Celebrating it’s fifth year, Project ASPIRE had an amazing camp! 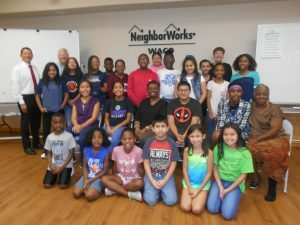 Under the umbrella of NeighborWorks Waco, Project ASPIRE is a financial literacy and mentoring program open to youth from all over McLennan County. This year, 25 students participated in Project ASPIRE’s summer camp! Out of the 25 participants, 15 have been campers for at least five years! 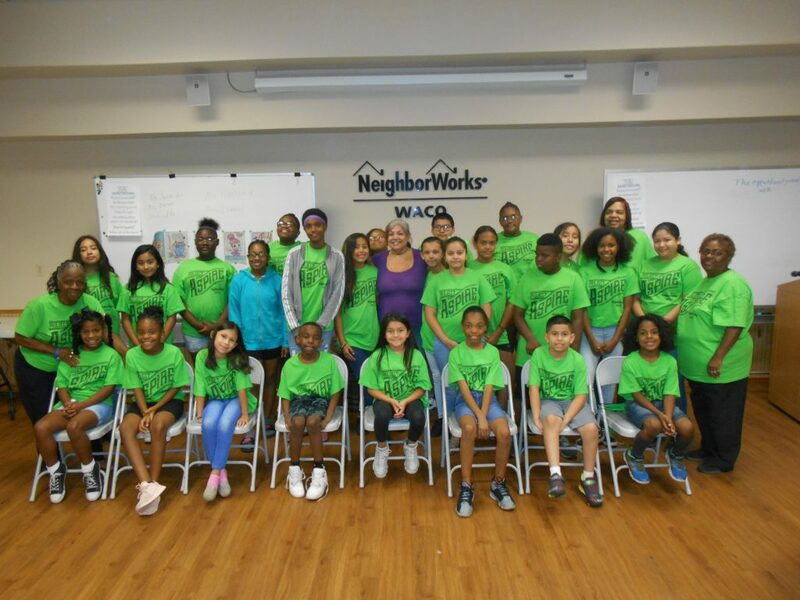 Run by Project ASPIRE coordinator Alice Pollard, 2018’s summer camp brought in various community leaders to motivate, inspire, and share their experiences with the future of Waco. The first day of camp was media day! Linda Crawford, co-owner and editor of the Anchor News, shared life lessons from her background growing up in the rural south. Ken Sury, editor at WACO Today, brought magazines and shared information about the industry with campers. A couple of special guests stopped by during lunch to share about their programs and backgrounds as well: Sue Lowry with the Waco Foundation, and Jose Palacios from the Heart of Texas Work Force Solutions. 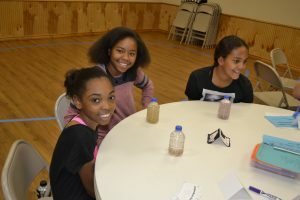 On the second day, Brandy and her group from the ARC of McLennan County joined campers to create a “make it and take it” craft, while discussing controlling emotions with those in attendance. Jo Welter, President of the Community Race Relations Coalition, focused on race relations, communication skills, and different ways people show bias. Mary and Jennifer Evans also stopped by to entertain the campers with a variety of educational games. The second day of camp was closed out by Anthony Betters, with the City of Waco. His inspirational and motivational talk created a sense of awe within the campers! For the final day of camp, campers loaded up and went to visit Skate World for the afternoon! Each and every one of the campers enjoyed getting to learn and improve their skating skills, all while getting to celebrate the fantastic camp that they had! Special thanks to the volunteers that helped put together this year’s Project ASPIRE summer camp- Betty Black, Gale Edwards, and Jo Welter. Camp would not be nearly as successful without you!